On September 25-27, 2006, Dr. Dan Fountain conducted a 3-day workshop on “Caring for the Whole Person” at Roberts Wesleyan College. Dr. Morehouse assisted him again this year. The course was open to pastors, counselors, students, and health professionals in our region and offered up to 21 hours of Category I CME credit for physicians who attended. 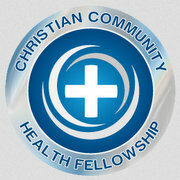 Dr. Fountain is the author of numerous books in English and French on community health, primary health care, and care for the whole person and served as a missionary physician in Kenya for 35 years before returning to the States where he currently serves as the Director of the Center for Global Health at King College. Click here to view a PDF Brochure for the Workshop. PowerPoint presentations of many of the sessions are accessible through the schedule posted online here.